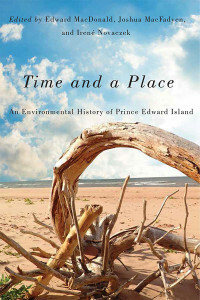 Book Review: Neil S. Forkey on Edward MacDonald, Joshua MacFadyen, and Irené Novaczek, eds., Time and a Place: An Environmental History of Prince Edward Island. case study for thousands of years of human interaction with a specific ecosystem. The pastoral landscapes, red sandstone cliffs, and small fishing villages of Canada’s “garden province” are appealing because they appear timeless, but they are as culturally constructed as they are shaped by the ebb and flow of the tides. lived in this place over time.